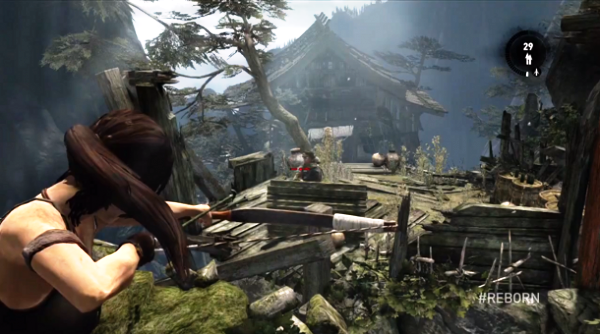 Developers from Crystal Dynamics continues to reveal interesting details about the Tomb Raider 2013 plot. The new 11-minute video shows the mission to the forgotten temple, where on the Lara;s way will stand not only enemies, but also the nature. In addition to the walk through the game’s creators showed how to use the shelters and various areas landscape to attack from unexpected places, and to take refuge in a firefight. Also in the video it is clear that, despite the fact that the AI​​ far from ideal, but it tries to find the ways and variants, as well as adapt to the tactics of your game style. You will be bypassed from the flanks, and the bandits will try to find the ways to your fire position and otherwise surround and put in uncomfortable situations. Of course, there is hard to talk about the plot nonlinearity, but some events surprise in the most unexpected places, and you forget that your path is predetermined. The other details you will be able to learn from the video below. Tomb Raider 2013 release appointed on March 5, which means that you still have 20 days to decide whether to purchase the game or to make a pre order.